On the first day of November this year, hit-making Kingsley Okonwo, the rave-of-the-moment, celebrated world-wide as KCee has concluded plans to take over streets and stores, all over the World with the release of his Debut album, and this is authoritative. Titled, 'Take Over' and to be released under 5-Star Music, KCee's First album is made up of 18 Street-Loving joints and a Skit. The joints will include all the Super Hits KCee has consistently released in succession: Give it to Me, Okpekete, Limpopo, Okepete Remix, Okoso, and the recent club-banging, Pull Over featuring Wizkid. “It's amazing” KCee expressed, “how things have turned out so sweetly successfully for me, my brand, and my budding record label. Releasing a Debut Album is definitely a major Career Milestone. Featuring some of the best musical acts in the Land, Take Over is as symbolic just as it is prophetic. 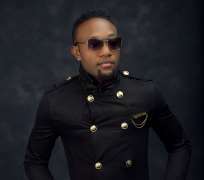 Symbolic because KCee, with the Alubm, hopes to assemble in one CD, the songs that he has performed at all major events in Nigeria especially since he released Limpopo. He wants in one piece, the songs that has earned him mouth-watering endorsements with Multi National Brands, and he wants fans to get in one place, all his singles they've heard everywhere on air, online, in clubs and those they even downloaded on Caller Back Tunes. Take Over is prophetic because with the name of the Album KCee is declaring his Vision Statement of taking over the Music Industry and staying atop for many more years to come with newer hits, and with his growing brand.